This is Mrs. Wigley's sixth year to teach at Asa Low Intermediate School. Previously, she taught at Martha Reid Elementary School for seven years. Mrs. Wigley holds a Bachelor in Music Education from UTA with a major in vocal performance, minor in piano, and has her certifications in Kodaly Pedagogy Levels I, II, and III from Sam Houston State University, as well as World Music Drumming I, taught by Will Schmid, the founder of the curriculum for World Music Drumming. She taught elementary music for 12 years in the Arlington and Mansfield school districts. Bridgett has directed and accompanied many church and school choirs for over 25 years, and her students have performed all over the state of Texas. In the summer of 2016, three of her students performed with Texas Choral Director's Association's Elementary Honor Choir in San Antonio. This elite group of students were chosen from more than 800 auditions that were submitted online. The three students were selected to be part of a 150 member chorus from all throughout the state of Texas. Bridgett is a vocalist with Arlington Master Chorale. AMC was chosen to perform at Texas Choral Director's Association conference in 2009, and has also had many overseas debuts throughout the 46 years. In June, they are performing on a European tour in Madrid and Paris. For more information on upcoming performances, please visit, arlingtonmasterchorale.com . Bridgett performed in the 2016 Texas Choral Director's Association, Director's chorus, directed by Grammy-winning composer and conductor, Eric Whitacre, accompanied by the US Air Force Band of the West. This chorus was comprised of only 100 directors from various regions in the state of Texas. Mrs. Wigley feels honored to have been selected for this prestigious chorus. In 2011, Bridgett was a finalist for the Bayard H. Friedman Hero in the Classroom Award, and in 2012-13 was named Teacher of the Year at Martha Reid Elementary. 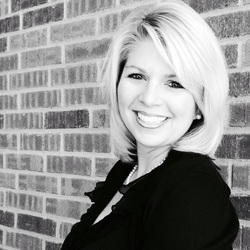 She is a member of the Texas Music Educators Association as well as Texas Choral Director's Association. Bridgett married her high school sweetheart, and they have two beautiful children, as well as two very energetic miniature schnauzers, Lexi and Lilly Pie.